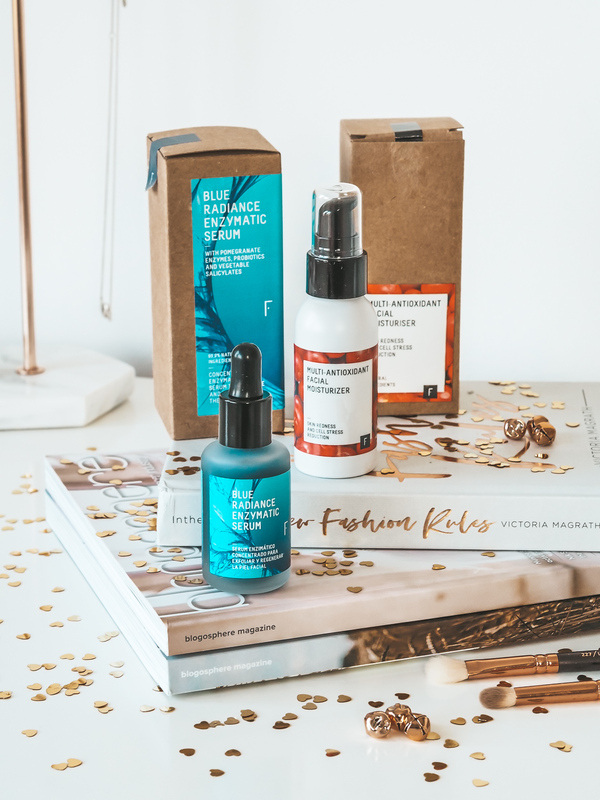 I was recently introduced to a new skincare brand on the block: Freshly Cosmetics. Freshly Cosmetics are a natural cosmetics brand based in Spain, and create products that are 100% free of toxic substances. Their core purpose is that they believe cosmetics can be (and should be) healthy, innovative, sustainable and transparent, so that we can all take care not only of our bodies, but also of the environment. Introductions over, how about we see what products I’ve been trialling recently? The first product I was gifted was the Multi-Antioxidant Facial Moisturiser. Retailing at £26, this is a moisturiser with concentrated antioxidants such as lingonberry, and anti-stress extract of Mexixan agastache. Who knew there was such a thing as anti-stress extracts?! The Mexican agastache plant reduces redness and inflammation which is related to psychological stress. I’ve replaced my usual morning moisturiser with this and have been using it for a few weeks. So far, so good. The bottle is handy, ideal for travelling, and the pump means just the right amount of product comes out every time. The texture is creamy, but on the thinner side, and soaks into the skin within a couple of minutes. For me, the scent isn’t my absolute favourite – it’s hard to describe but all I can think of is very ‘natural’!! But it’s something I’m willing to overlook if the product does its job – which this one does. It’s been picking up my dry skin this winter a dream. 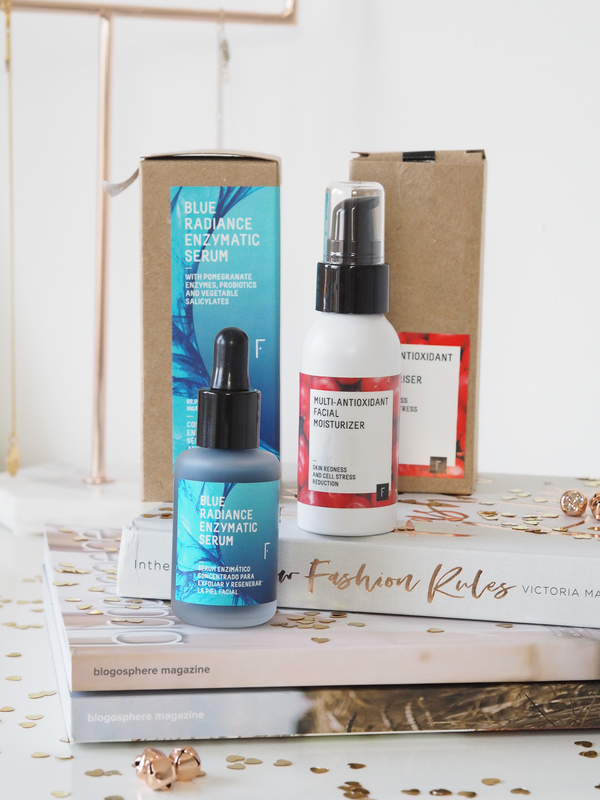 The second skincare product on trial is the Blue Radiance Enzymatic Serum. This costs £31 and claims to thoroughly renew your skin from the first application. It contains ingredients to exfoliate, rejuvenate, reduce and treat wrinkles, acne, blackheads, open pores, blemishes and redness, giving your radiant skin and evening out your skin tone in just 4 weeks. Bold claims, huh?! I’ve never religiously used a night-time cream or serum such as this, so I was excited to give this a real trial run. It’s blue in colour (extra points from me here), and I’ve used it every night as an extra step after my night moisturiser. Now, there’s a lot this product claims to fix, and it definitely hasn’t done it all. I’ve been trialling it for 2, maybe 3 weeks now and I’ve still got those blackheads and occasional blemishes. I think it’s too early to make any bold claims as to whether it works – but it’s doing what I’d call a pretty good job. 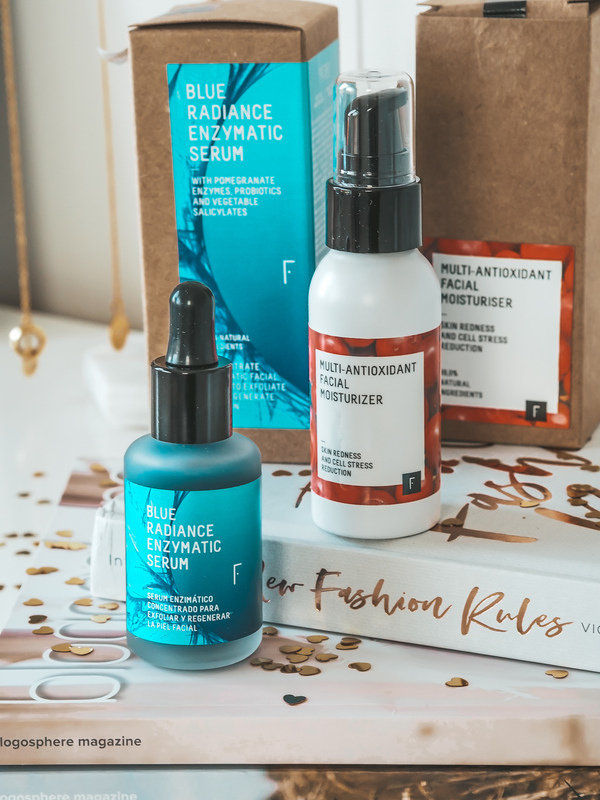 I’ve loved being introduced to Freshly cosmetics, and while they haven’t transformed my skincare routine, they’ve definitely not entered unnoticed either.